In the early morning hours of July 1st, 1917, Peking was a capital on the edge. From the beginning of the Great War, China had debated whether or not to enter the conflict, even going so far as offering the British 50,000 troops to invade the German colonial city of Tsingtao. But internal divisions – both within China and among the Entente – kept Peking on the sidelines of a war occurring in their own backyard. For the past year, the debate over the war had divided the capital between President Li Yuanhong and Premier Duan Qirui. Yuanhong, the successor to General-turned-President-turned-Emperor-turned-President again Yuan Shikai, wanted to keep China out of Europe’s squabbles. Qirui saw an opportunity to exert Chinese power abroad in hopes of securing European alliances that might undo the various concessions the nation had endured, including the “Twenty-One Demands” foisted upon them by Japan in 1915. But despite his internal popularity with Peking’s politicians and various warlords, few wanted to follow Qirui into war. Yuanhong had seemingly put an end to the debate as he dismissed Qirui from power. 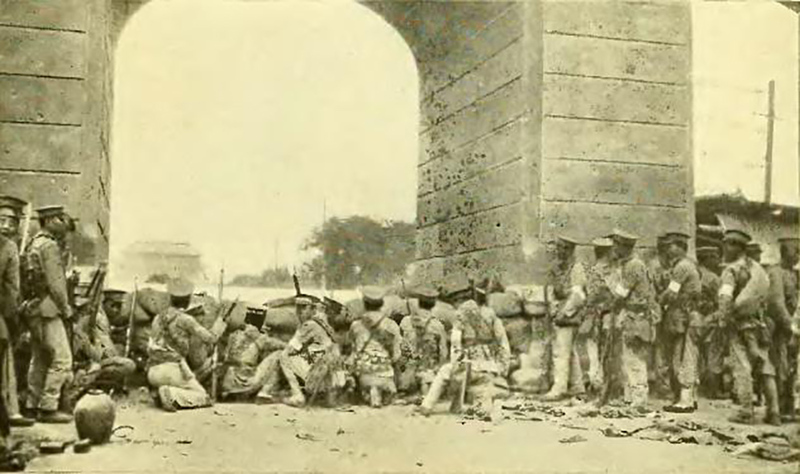 The troops that entered Peking that morning were not supporters of Qirui, nor were they loyalists to the otherwise unpopular central government. The troops of General Zhang Xun had an entirely different future for China in mind – a return to the Imperial model and restoration of the Qing Dynasty. The shape of the war in Europe would depend on the outcome of a coup in China. The dissolution of the nearly 300-year reign of the Qing Dynasty in 1912 had left China with a massive power vacuum. Rebellious southern provinces, various generals and pro-republican politicians each had sought power for themselves, with little unifying an already fractured empire. One man had appeared capable of bringing together such disspitate parties – General Yuan Shikai. Through alliances, guile and force, Shikai positioned himself as the first President of the newly formed Republic of China. But what little support President Yuan Shikai held evaporated with his signing of Japan’s forced concessions in the spring of 1915. Only by Western pressure had the most onerous of Tokyo’s demands been waived while Shikai’s power structure crumbled. The Hongxian Dynasty would find only an abundance of opposition. Protests greeted Shikai’s announcement while former political opponents abroad organized efforts to overthrow him. Japan, which had encouraged Shikai’s move to royal despotism in order to maintain their newfound hegemony over Peking, publicly withdrew their support, as did almost all foreign governments. Even Shikai’s one-time allies like Duan Qirui sought to replace him, with some military governors announcing open rebellion in what would become known as the National Protection War to try and restore some semblance of republican rule. Lacking the support or power to militarily force the rebellious provinces back into the government, Shikai abandoned his short-lived imperial rule after only 83 days. His failing health and eventual death shortly thereafter may have helped sidestep Shikai’s refusal to completely abandon power, but also cast the nation into further disarray. Neither quite a monarchy or republic, China was left without a clear-cut form of government or successor. Shikai’s will had stated that in the event of his death power should pass to either Li Yuanhong, Duan Qirui or Shikai’s former secretary of state, Xu Shichang. While the will held no legally binding power, it gave all three men some claim to authority. As Shichang largely sat out the conflict, Yuanhong and Qirui fought for power, with Yuanhong claiming the presidency in much the same manner as Shikai, with northern generals backing his bid in hopes of accommodating the rebellious southern provinces. The tactic worked and the National Protection War ended. Yuanhong’s victory had been won by a series of compromises – including allowing Qirui to become the second most powerful figure in the Republic as Premier. The arrangement would not work for long. Li Yuanhong may have been the President of the restored Republic of China, but for all intents and purposes, Duan Qirui ruled the nation. Holding more military and political allies than Yuanhong, Qirui saw the potential of having an otherwise weak figurehead president whose candidacy would allow for a consolidation of power under the republican government – a government ostensibly led by it’s Qirui-dominated parliament. No popular election or even parliamentary nomination had led to either Yuanhong or Qirui’s posts, all in stark contrast to the 1912 constitution. But while Yuanhong insisted on returning to the laws of the 1912 constitution, which many allies of the National Protection War had fought for and been promised in return for laying down their arms, Qirui remained steadfast against any weakening of his position that might result from putting his rule up to a vote. Southern governors and military leaders who were in favor of the constitution, or otherwise viewed as against Qirui, were methodically removed from power. Qirui had, in effect, become the dictator of China. As Qirui looked to consolidate his rule domestically, he also was looking for means to exert Chinese influence on the world stage. Not unlike in Africa, the Great War had restarted the colonial scramble for territory, with German-Chinese cities like Tsingtao and provinces like Shandong now up for grabs. Japanese pressure on the Entente had kept the Chinese out of joining the fight against Germany, as Tokyo seized Tsingtao and Shandong for themselves. But the lack of acceptance of Chinese troops had not kept China completely out of the war. Under Qirui, thousands of Chinese laborers – most from Shandong – would be “lent” to to the Entente in non-combat support roles. In an effort to maintain the illusion of China’s neutrality, dummy corporations were set up in China to “hire” such laborers and ship them to France where they dug trenches, hauled supplies and cleaned equipment. 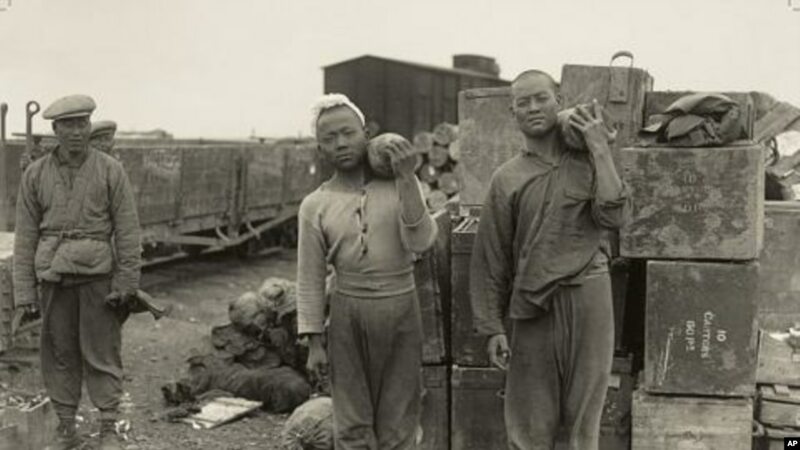 Nearly 140,000 Chinese would work for the French and British alone, with so many Chinese being injured or killed in the process that the Chinese created the Bureau of Overseas Chinese Workers, which successfully lobbied Britain for compensation above and beyond their original pay. For those Chinese who supported such policies, the ultimate goal was the return of the ancient and historical Shandong province. The birthplace of Confucius, Shandong was seen both in China and abroad as the “cradle of Chinese civilization.” Retaking Shandong was hardly a priority for Qirui out of any sense of nationalism. Gaining the province would lessen foreign influence in China and greatly expand Qirui’s own power. Joining Europe’s war would be a small price to pay for such increased domestic prestige. Despite his hold on power, Qirui was quite alone in his push to go to war. His unilateral choice to end diplomatic relations with Germany in early 1917 left him with few political allies and a parliament now willing to call for his resignation. 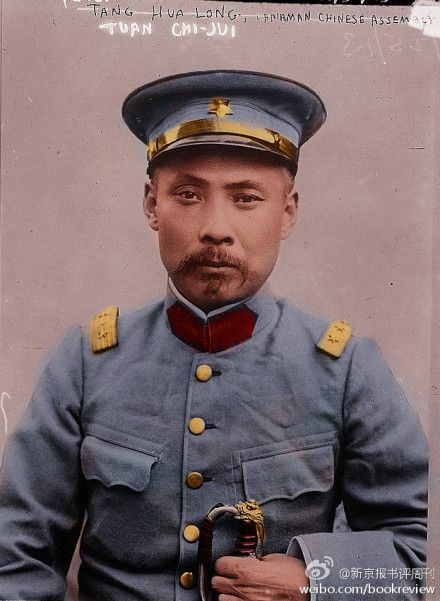 Perhaps to Qirui’s surprise, Yuanhong dismissed him on May 23rd, 1917, attempting to forestall another quasi-civil war as southern generals and parliamentarians threatened to quit the Republic. Qirui fled to Tianjin, mobilizing military forces loyal to him. As politicians and generals abandoned the central government, Yuanhong desperately pleaded with General Zhang Xun to mediate a settlement between the soon-to-be warring parties. Yuanhong’s choice of generals would lead China directly into the Great War. If the Republic of China had searched for a military savior in the summer of 1917, they could hardly have done worse than General Zhang Xun. Xun had been both a well-known ally of Yuan Shikai and supporter of the overthrown Qing Dynasty. Xun had refused to cut his queue – the long braided hair grown from the top of the scalp as a sign of loyalty to the Qing – and had even fought against elements of the Republic while serving under Shikai. Few generals had stayed in Peking as Qirui’s dismissal had fractured the military. Northern generals almost uniformly supported Qirui’s return to power, while southern leaders and most of the entire Chinese Navy opposed him. Yuanhong hoped to mediate the dispute and Xun was among the few generals still in the city. Xun’s attempts at diplomacy were nearly nonexistent – he demanded that Yuanhong dissolve the parliament instead. Yuanhong delayed a decision as long as he could – citing the 1912 constitution as his rationale for not dismissing the body – only to relent, removing the parliament from Peking, and with it, many of Qirui’s opponents. Had Zhang Xun and his troops simply deposed Yuanhong on July 1st, 1917, the move would have probably surprised very few. Indeed, some historians cite Xun’s takeover of Peking as starting in mid-June instead of July 1st, citing Yuanhong’s dismissal of parliament as a sign that Xun was already the real power in the government. Instead, as Xun’s troops formally secured the city on July 1st, Xun declared the restoration of the Qing Dynasty with the last emperor, 11-year old Pu Yi, on the throne. The child emperor, having assumed the role previously at the age of only two, knew little of actual authority, having never ruled directly and living a life of royal abundance even after the end of the Dynasty. 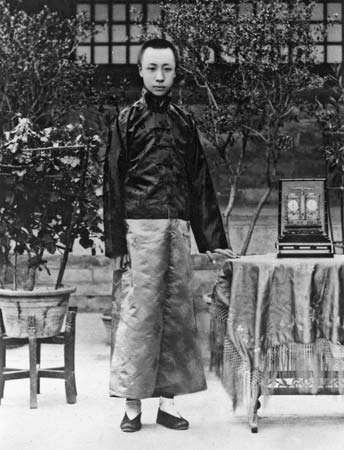 Pu Yi had spent his early years living in fear of his actual parents and authority figures while simultaneously exacting constant tortures to his servants – a narrative largely ignored in the classic The Last Emperor based upon Pu Yi’s life. Xun had installed a puppet emperor, taking most of the principal offices for himself. Xun wasn’t naive – he knew he needed the aura of constitutionality in order to have any chance at making his dynastic restoration appear popular. The royalist general forged a series of decrees, falsely suggesting that Yuanhong and others supported Pu Yi’s return to power. The ruse fooled no one. The Qing Dynasty held no more favor than it had just years earlier, and with Xun only commanding his forces in Peking, the renewed monarchy was vastly outnumbered. Yuanhong and Qirui put aside their differences, with Qirui’s military allies already marching on the city. By July 12th, after scant fighting, the royalist forces had surrendered while Xun fled into the nearby Dutch embassy for safety. Pu Yi’s entourage had drafted a letter of abdication, but never released it – for the royal Palace, the only difference the past twelve days had brought was a small bomb dropped on the palace grounds by a republican plane. The Qing Dynasty restoration hadn’t even lasted two weeks. But the effect of the coup would have long-lasting consequences. Upon returning to Peking, Duan Qirui’s allies effectively seized power. Qirui’s role in leading the resistance to the attempted monarchy had convinced enough power brokers in the empire to defer to Qirui’s demands. Perhaps seeing the writing on the wall, Yuanhong resigned the presidency shortly after giving Qirui back his post as premier. Qirui might not have been president, but moved to quickly tighten his reign. War was declared on Germany in August of 1917 and the Republic sought out loans ostensibly to finance the effort. In reality, Qirui sought to build an army to take on his southern provincial opponents and did so with loans financed by none other than the Japanese. Tokyo would grant Qirui the funds he requested – in return for control of Shandong. Armed with their agreement, Japan would press for Shandong at Versailles, even as the Chinese ambassador to the peace treaty likened Shandong’s significance to China as Jerusalem to Christianity. The anger in China at Qirui, and the Western powers, at losing Shandong, especially after participating in the conflict for the Entente and sacrificing thousands of lives as workers, would become an early and effective rallying cry for China’s Communists. The army Qirui was able to field from his Shandong concession was not enough to help him maintain power once the nature of his arrangement with Japan was revealed. A series of wars with the various military cliques that now dominated China would slowly sap Qirui and his allies of their remaining influence, but not before Qirui’s forces oversaw a massacre of civilians protesting the Shandong issue in 1926 (among others involving foreign control over Chinese territory). The “March 18th Massacre” would be called by it’s survivors as “the darkest day in the history of the Republic of China” and would further stoke the flames of Communist agitation. Qirui would resign a month later – but his damage to China had already been done.